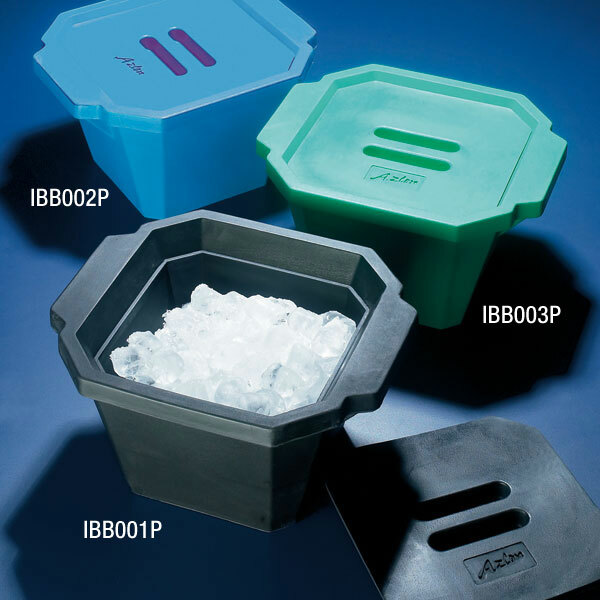 Produced from polyurethane foam, these ice buckets are suitable for use with ice, dry ice and salt solutions. The octagonal shape is more "storage friendly" and sturdier than round ice buckets. The buckets can be stacked with the lids on or off. The 4.5 liter capacity is 1/2 liter larger than the competition which allows you to fill the bucket with 4 liters of solution and still be able to close the lid. The lid is flat and features a convenient handle to provide easy gripping and stacking. Available in 3 colors. Shape: Octagonal shape is more "storage friendly" than round versions.